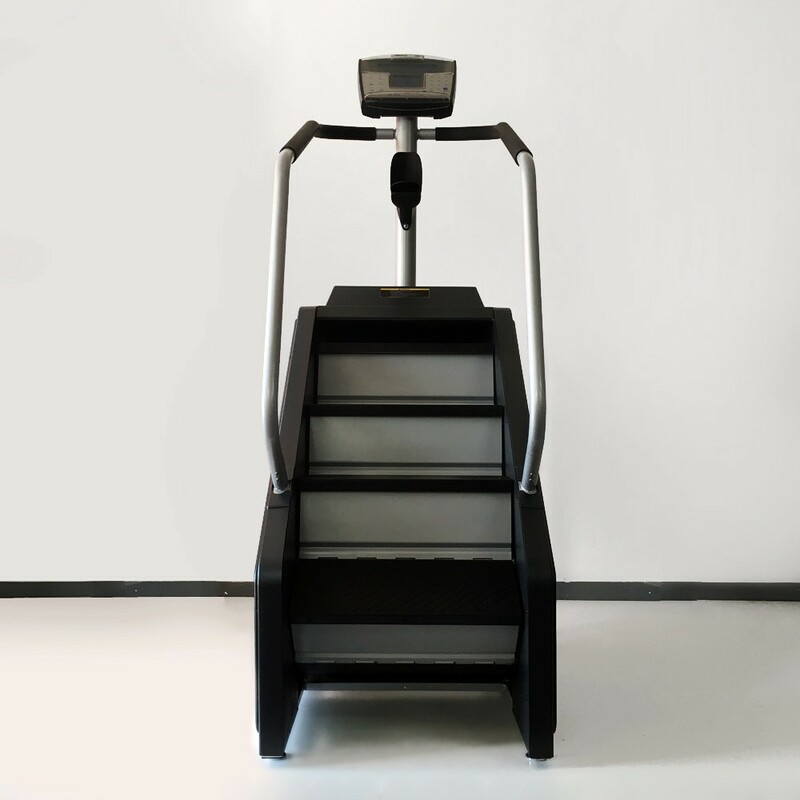 Total Body Experts is very proud to be an Authorized Dealer of all StairMaster Commercial grade products. Life may sometimes feel like an uphill climb, but with the Premium Pre-Owned SM916 StepMill® you’ll enjoy taking it one step at a time. 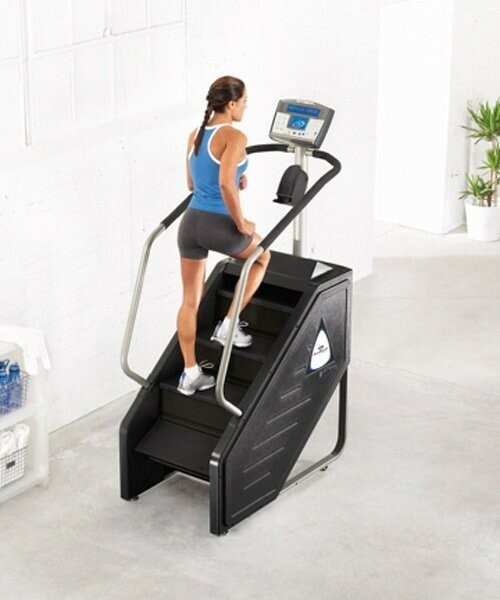 Climbing stairs was once a radical notion in the exercise world, but with a sophisticated, smooth machine like the SM916 StepMill® available today, stair climbing is almost a “must-do” part of any serious fitness practitioner’s routine. 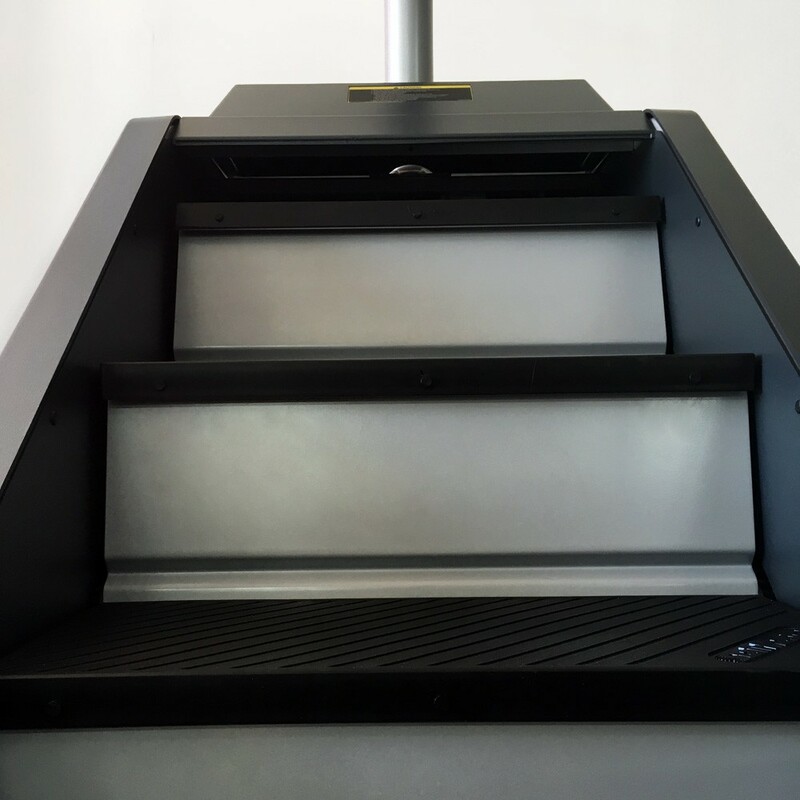 The SM916 StepMill® is the machine that, due to its revolving staircase with 8” high steps, most closely resembles the act of actual stairclimbing. 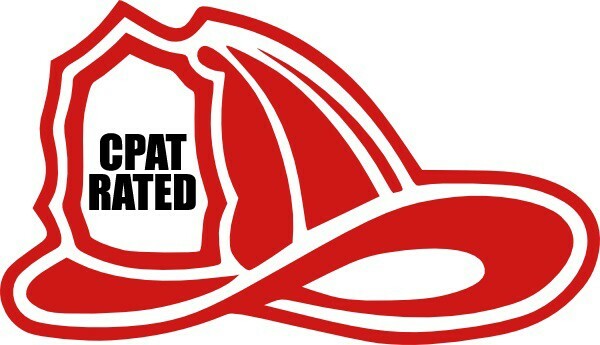 Today’s up-to-date model features ergonomically designed handrails, which allow for maximum user intensity, accessory options that allow you to store your mp3 player, a nationally recognized fitness test to gauge your progress, and custom CPAT and WFI Fire Fighter Tests. 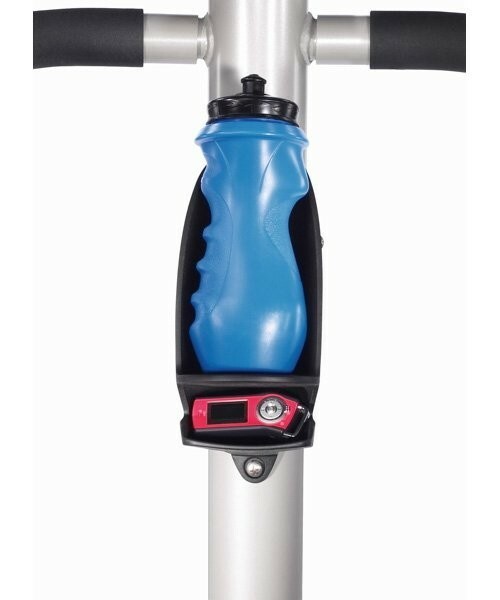 The SM916 also comes with standard fitness machine features like water-bottle holders and Polar® compatible heart rate monitoring hook-ups. The easy-to-read, back lit LED console will accommodate up to a 15” TV, so your climb can be just that much more entertaining. 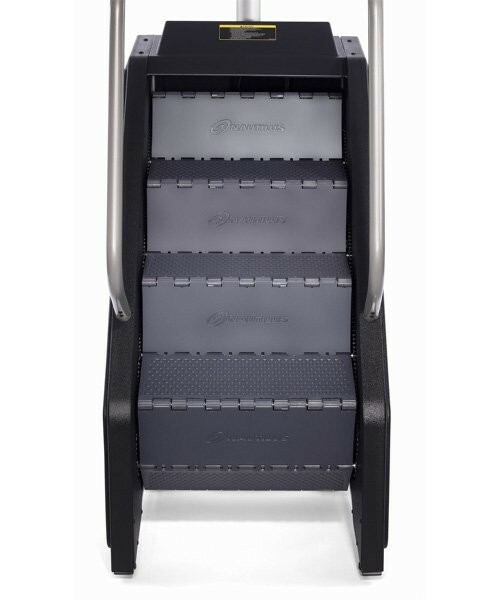 Like all StairMaster® products, the SM 916 StepMill® is backed by the company that for 25 years has been recognized as the leader in the field of stair climbing. I purchased an SM916 from Total Body Experts last December. Not only did they beat the price of any other company, but delivered the product as promised in a timely fashion, without hassle. The men who set up the stepmill were great. I would purchase again in a heartbeat. 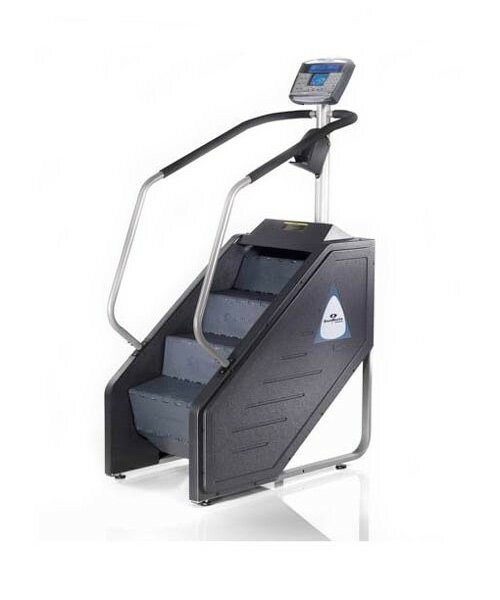 On the recommendation of my doctor and physical therapist, I began searching for a stepmill. After doing my research, it became quite clear that I would be better off getting a refurbished commercial version of the product vs. going to with a new home-based version. I was concerned about the quality of the equipment, the warranty, etc... getting a refurbished machine vs a new one. 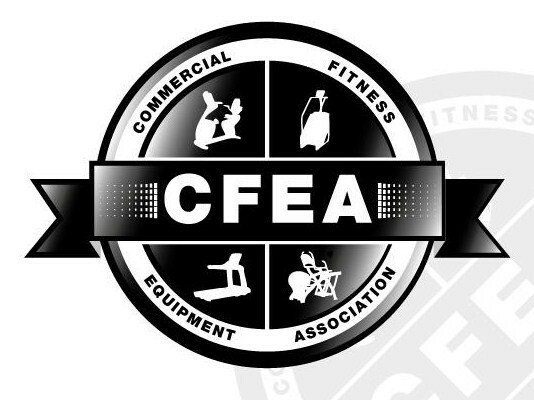 I spoke with several online equipment providers and hands-down, Total Body Experts were the most knowledgeable, working with me to select the most appropriate product to fit my needs, and better yet offered the best overall package (equipment price, warranty, delivery). They took the time to clearly explain the warranty - which is far better than what I found elsewhere - and answer any additional questions I had. There was an issue during delivery (third party company) which Total Body fixed ASAP and the rest has gone exactly as expected. I love my "new" refurbished stepmill, have had no issues and would highly recommend Total Body Experts to anyone looking to purchase high quality fitness equipment. 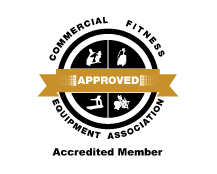 Jared at Total body Experts was a great and complete sales person and the equipment and delivery were perfectly described and performed admirably. I purchased an SM916 from Total Body Experts. I would not hesitate to do it all over again. This of course is a very BIG purchase and worth doing some research. Their price was unbeatable and the service was tops. I was most concerned about the machine arriving and not being what I expected or perhaps damaged. I was after an exercise club grade machine and not a cheap home version. 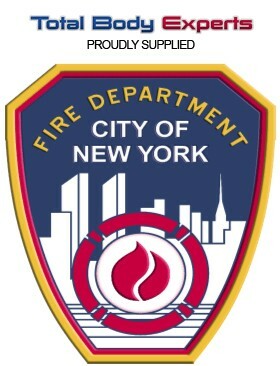 The equipment was everything I expected, and more, the service was TOPS!! I recommend buying from Total Body Experts! My experience with Total Body Experts was a positive one from my purchase to delivery to the quality of my product. I absolutely love stepmill! I ALMOST purchased the same product from a different company until I checked compliants on the Better Business Bureau. Total Body Experts had no complaints whereas the other company had several and all were related to poor customer service. I am glad I checked and read all fhe reviews before making such an expensive purchase. I am happy with the price I received, the warranty & the product that was delivered. The manufacture refurbished arc trainer arrived in a timely manner and looks and operates like a brand new machine. 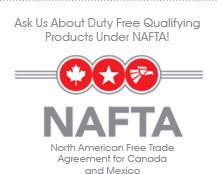 I haven't had any issues in the 8 months I have been using it, so I haven't needed to use the warranty but I am confident if I ever need to, it will not be a problem with this reputable company. 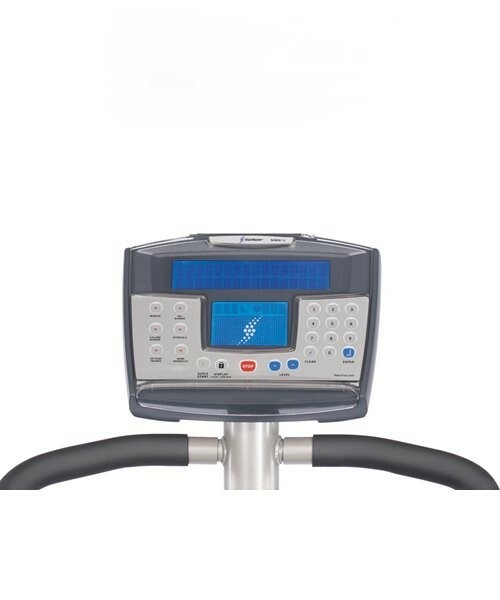 I feel this machine will last me my lifetime but if I am ever in the market for any other fitness equipment I will definitely purchase through Total Body Experts. I will also highly recommend this company to friends, family or anyone that asks! Sales staff was easy to work with via phone and email. They answered all questions in a timely manner and with accurate information. Product arrived when they said it would and was exactly what they said it would be. Friendly follow-up to make sure equipment had arrived and follow-up to make sure everything was working properly. 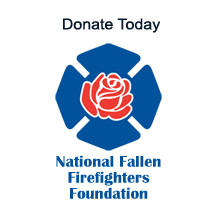 Without hesitation we will consider using again in the future.